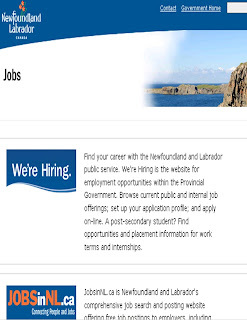 Nearly two years ago, I accepted a job with the provincial government, the pay was not what I have come to expect but in the long run the goal was permanency. Proud, Strong and Determined. 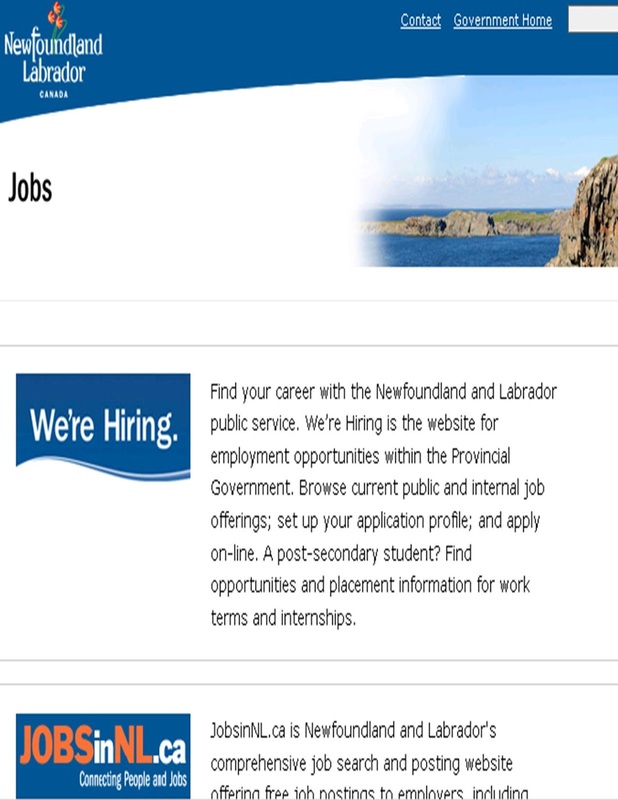 Find your career with the Newfoundland and Labrador public service. We’re Hiring! It was the siren call to hundreds, perhaps thousands of people who had moved away to find work. Many answered the call and relocated back home. The feeling today is quite different than it was pre-Dunderdale. For the first time in a decade the provincial public sector is going to be reigned in and downsized. No doubt, the province must have sustainable expenditures. The loss of transfers and the impact of lower than projected oil revenues have put that sustainability in doubt. However, everyone knows that this "fiscal crisis" is a temporary situation. The number crunchers are circling departments like buzzards. Each division, department, secretariat and crown corporations plan to reduce 10, 15 & 20 % of it’s expenditures is submitted, reviewed and returned with one message – find more saving, find more jobs to cut. I was around in 1993 for that Program Review Exercise. The province was broke, there was no credit available. Programs and jobs had to be cut. It was not a pleasant exercise. Thousands of people were impacted. Jobs were cut, programs were scaled back or dropped all together, regional offices were closed, maintenance and new constructions for infrastructure was frozen. Tough choices in tough times. The impact was felt everywhere. The economy caught a chill. This time around the government is banking on the fact that the private sector is hot. Can the big oil economy absorb the impact of cutting thousands of permanent and temporary public sector positions? I don’t think so. In the past few weeks four of my colleagues, in a relatively small shop, have been shown the door. The drama of people exercising their bumping rights creates a workplace tension that just hangs in the air. Who is next? Is anyone safe? There is concern about unmanageable work loads, those left will be expected to do the jobs of three others. Shell-shocked, no one seems prepared for the cull that will be announced in the budget. I doubt that anyone with less than five years permanent service will be untouched. My gamble has failed. The axe will fall. It is just a matter of when. For the first time in 23 years, I am sending resumes out of province. The private sector is only "hot" because of the uncontrolled provincial government spending.